The book is 83 years old and in reasonable condition except the staples have rusted through and disintegrated, leaving a pair of neatly shaped stains at the margin of each page. The topic is the description of a profession, and regular readers will know how fond I am of these. In the past we covered dustmen and postmen. This time it’s stock-brokers. 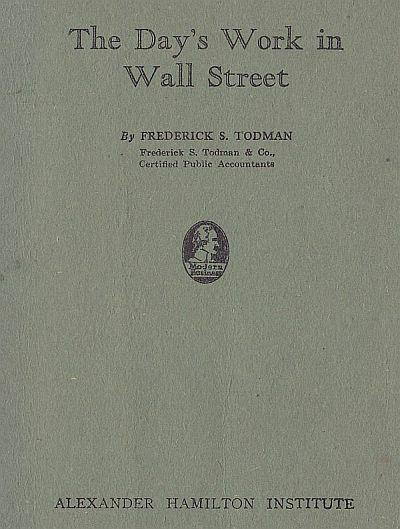 The Day’s Work in Wall Street is a lecture on the workings of the New York Stock Exchange written in 1919 and revised ten years later by Frederick S. Todman, the head of one of the principal accounting firms of this era. The exact date of the revision – precisely when in 1929 – is not recorded, but we could reasonably assume that it was some time before the market’s dramatic unravelling that began on October 24 of that year. Knowledge of that particular event makes the book a sort of unwitting and unfinished crime thriller, one in which the murder is never consummated but might as well have been, as far as the reader is concerned, for we know what happened next. 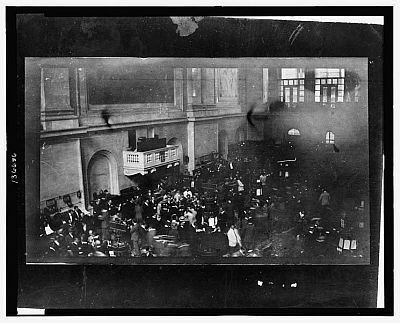 And so that the stock market should be described as such an ordered, harmonious and well-functioning machinery at this particular time is a source of some frisson, like when Yale economist Irving Fisher declared just ahead of the crash that stock prices seemed to have reached ‘a permanently high plateau’. We rightly scoff at these statements, but they are also revealing of the extent in which the financial system – long before the invention of credit default swaps – knew how to render itself opaque to the very people who ought to have been most familiar with its workings. In spite of his technocratic confidence, Todman hints at this opacity in the lecture’s opening statement. Probably few persons outside the stock broker's office fully understand the minutiae of the game of fortune-making in the stock market. Everything is so technical: the abbreviations on the ticker, the parlance of the street and the sign language used by the brokers on the floor. 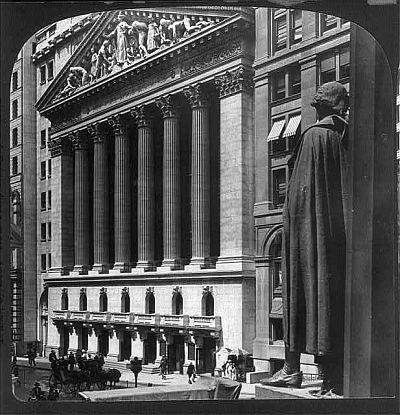 In fact the New York Stock Exchange had a history of being quite secretive about those minutiae. In the previous decade for instance it forbade visitors from taking pictures, which is why a photographer working for the Pearson Publishing Company had to snap the one below with a camera hidden in his sleeve. 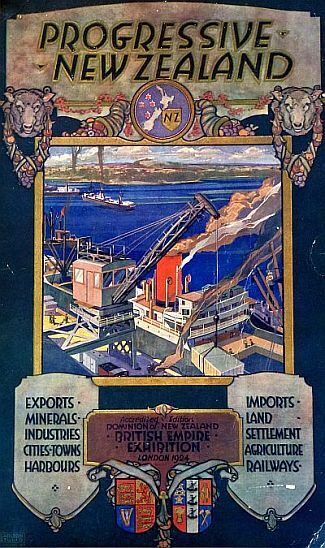 Of course it is quite possible that what the directors of the exchange wished to protect was their intellectual property in the very things that Todman set out to describe: namely, the combination of technological and human systems that allowed the exchange to carry out and record with remarkable speed and accuracy the orders to buy and sell it received each day. On the human side, the Stock Exchange – we are assured – is governed by strictest principle of ethics. The broker is fundamentally honest, because he [sic] is trained to be honest, and besides ‘the laws governing the conduct of members on the Board also foster that habit, so that it does not take very long for the dishonest ones to be weeded out of the fraternity.’ If anything, it is the customers who frequently cannot be trusted, and several examples of such dishonesty are given. Nonetheless the broker is seldom indifferent to their interests. Many times he is asked to carry their commitments thru a period of storm, when owing to their temporary embarrassment they are unable to finance them fully. This he does cheerfully, if he is reasonably certain that the customer means well and that his indisposition is but a matter of adjusting his bank balance. You see how the bad reputation of brokers amongst the public was unwarranted even back then? Except of course these lending arrangements were not borne out of compassion, and the necessity to recoup the amount loaned – which at peak totalled a staggering $8.5 billion – meant that brokers had a very vested interest in driving prices higher in the lead-up to the crash. If the psychological type of the broker is sketched rather crudely, Todman is more useful and at times more lyrical when describing the technological side of things. There is for instance in the book a lengthy description of what happens when the ‘tape is late’, meaning that the lag between a flurry of trades taking place and their being printed on the ticker tape has prevented a buy or sell order from occurring at the desired price point. Such lags of course nowadays are defined by the servers of an investment bank operating a micro-second faster than those of another investment bank. Of a similarly quaint nature are the author’s attempts to impress us with the ‘wire room’, the never centre of the broker's organization, where in one corner you might see as many as ‘half-a-dozen wires leading to the West and the South.’ All that this means is that they had a bunch of phones and telegraphs, but what they did with them was still remarkable for its time. As an example of the speed with which orders are executed, the following will serve: The London office cables in Hartfield's Code: Smitell, N.Y. DEPEFHENEP. The cable when decoded is found to be an order to sell 1,000 shares of United States Steel Common at the market price. The order is entered, executed, coded to London, and actually sent within three minutes from the time of receipt! The exclamation mark at the end of this passage condenses an ideology that readers familiar with Adam Curtis’ All Watched Over by Machines of Loving Grace would find familiar, except what it also underscores is that you don’t need digital computing to develop the idea that a market that works faster is a better market, and that if it worked even faster it would be an even better market, and so forth. 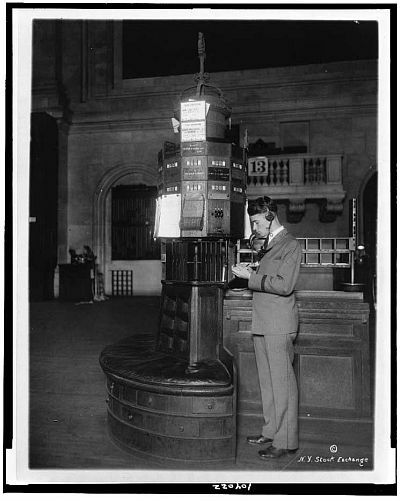 We might in fact wish to reflect upon the fact that the crash of 1929 was made possible by such rudimentary technologies, and marvel that the bubble waited patiently for each sale sheet to be made up in triplicate and each comparison issued in duplicate before bursting. Shortly after the revised edition of this small book was published, Todman’s story ‘of brains, of keen foresight and of prompt action’ came to a devastating end, and what he had called ‘a game of fortune-making’ was branded by The Times as early of October 30, four days after Black Thursday, as ‘The Great Gamble’. The very concept of a day’s work in Wall Street would have radically changed as the market went on to lose over 80% of its value in a protracted fall that lasted three whole years. As for Todman himself, his company still traded and carried his name when it was censured by the Securities and Echange Commission in 1991, long after his death, which suggests that he came through the Depression okay. What exactly we are to make of his book I don't know, but I can tell you that it is valued over one hundred dollars on the second-hand market. The Italian division of Walt Disney was founded in 1938 and was the first of its kind in the world. 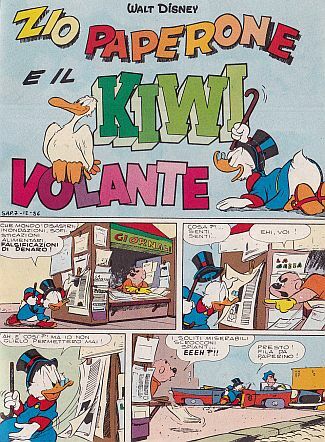 In those early years its magazine was allowed to operate in spite of the regime’s censorship after Mussolini returned the list of banned foreign comic book characters drafted by the Minister of Popular Culture with a note that said: ‘All except for Mickey Mouse’. 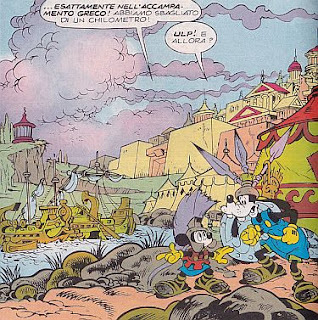 There was a brief interlude in 1942-43, when finally the company was forced to replace Topolino – as Mickey Mouse is known in Italian – with Tuffolino, a homegrown, inanely comic substitute, but the magazine was relaunched in 1949 and has been a mainstay of the Italian comic book scene ever since. 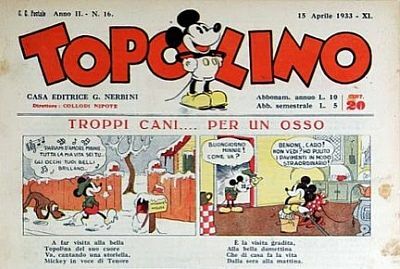 An early issue from 1933, when Topolino was still published by Nerbini. I loved Topolino when I was a child. By that stage it was published weekly and my father would bring a new one home every Saturday after work. It was a decade graced by the work of Romano Scarpa, Giovan Battista Carpi, Giorgio Cavazzano and other very accomplished artists. The stories were smart and the writing in particular was inspired. There is a line spoken by Donald Duck to Uncle Scrooge that has stuck with me since not longer after I learned to read. ‘Ah, che disgustosa ostentazione di plutocratica sicumera!’ Which roughly translates as ‘ah, what a disgusting ostentation of plutocratic presumption!’ I didn’t know what half of those words meant, but somehow when they appeared altogether in a sentence I could tell what they meant, and they rolled off the tongue – and the eyes – quite beautifully. 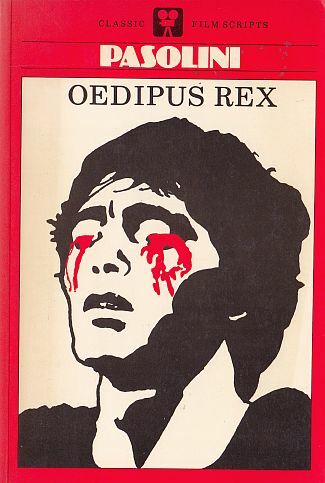 The typical lines of dialogue were rather less portentous, of course, but the editorial approach was bold, and included a long line of literary parodies (of The Iliad, The Frenzy of Orlando, even The Betrothed) which quite a few years would be my main source for pretending I knew something about the source works. 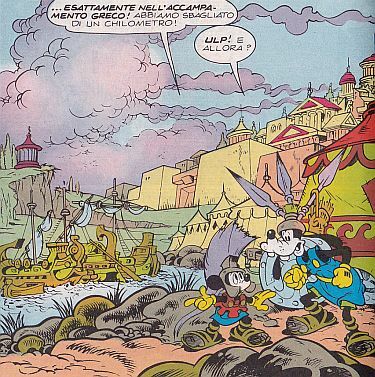 Topolino is still going and is still quite good. I know because my eldest son is into it now. Earlier this year we visited my mother in Italy and between trips to the newsagent, swaps with a neighbour and the largesse of a cousin he gathered a suitcase-full of these books, some dating back to my own childhood. In Scrooge McDuck and the Flying Kiwi, Rockerduck learns of the discovery ‘in New Zealand, near Wellington’ of a rare specimen of flying kiwi, but so does Uncle Scrooge, who immediately packs Donald Duck, Huey, Dewey and Louie on a jet in a bid to acquire the inestimable bird ahead of his rival. ‘The Kiwi is a kind of flightless goose,’ explain the three nephews at this juncture, and had I been a child I would have instantly believed it, for they possessed the knowledge of the Junior Woodchucks Guidebook, and besides there was a sort of pedagogical bond of trust involved, meaning that we had come to expect to be occasionally informed as well as reliably entertained. 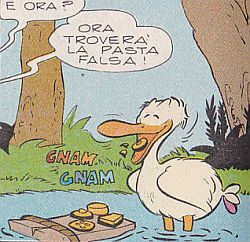 So, jumping ahead in the story, here’s what a kiwi looks like according to this Italian comic from 1986. Whereas much more shockingly – and really I must apologise for this – these are the (presumably Māori , although the word is not used) inhabitants of the village of ‘Maara Koora’ who assist our heroes in the capture of the bird. The Fascist-era imagery of the African savage is given an ironic twist by making the villagers highly articulate and literate (one of them declares an interest in Hegelian logic), but the clumsily confounded expectation, if anything, makes things worse. Joseph was shocked, if not entirely unamused, by these misrepresentations. I don’t blame him. As a child you expect a certain integrity in your fictions. There is that bond of trust. Whereas as an adult it’s easier to be aware of the underlying templates. 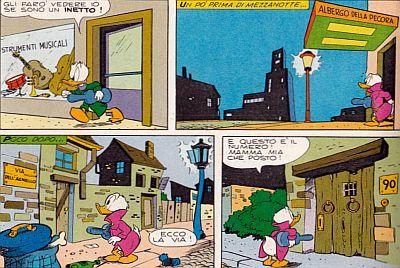 This is ‘Wellington’ according to the Italian branch of Disney, but it looks just like Duckburg or any other generic modern city. 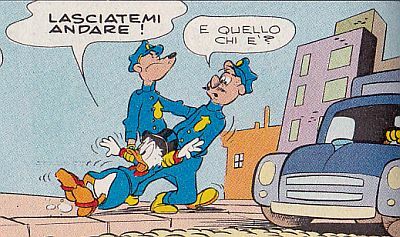 Even the local police is still drawn in the style of Carl Barks. It strikes me however that this it is a very pre-internet scenario, one in which you wouldn’t even bother to look up the most basic details, and could count on your readers not having access to instant competing images of real-world referents. It’s a differently mapped world nowadays, and this applies to the way knowledge is organised and presented to children as well. Ironically enough, the instant availability of basic facts about everything was the very promise of the Junior Woodchucks Guidebook, which all of us dreamed to own in real life. But, as it turns out, sometimes the book lied. I need a basic toolkit. A small-calibre pistol with a silencer. Car battery. A pail of water. A coil of rubber hose, small diameter. It’s a shopping list for torture, made of common household items (okay, apart from the pistol) that – like in one of those practical guides on how to stretch the budget in a time of austerity – the resourceful housewife could use to break another human being. But of course Rebecca Winstone isn’t a mere housewife, nor is she just a florist: she’s ex-CIA, and somebody took her son. 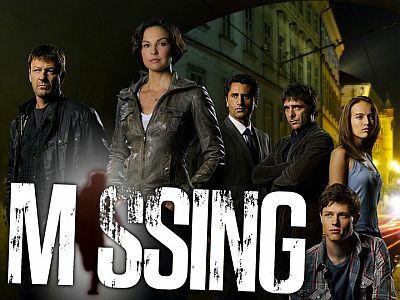 This is the premise of the television series Missing, which screened for ten episodes on the American network ABC during the northern spring of this year. The first nine-tenths of the series are innocuous enough, and feature Winstone chasing her son’s captors and being shot at in some of Europe’s most picturesque locations. The tenth episode is where the meat is. The burnt, torn and slashed meat. We had seen a parent go down this road at least once before, in the film Taken starring Liam Neeson, of which Missing is highly derivative. Taken too had a torture scene, a carefully constructed affair that had to be got to and worked through, and thereafter cast a shadow on Neeson’s character and on our ability to recompose the image of the loving father in time for the happy ending. Whereas for all its moral hedging and its leaving the bloody business off-screen, Missing is actually more unpleasant; its torture scene, for being spoken as opposed to shown, more brutal and calculating. Then there is the other, more illustrious television precedent. If 24 supported the view that torture is acceptable in order to prevent large-scale murders, Winstone’s actions in Missing supplant reason of state with reason of family. They make extreme caring the condition for inflicting extreme pain. There is your victim, a CIA agent by the name of Violet Heath who has switched to the other side and refuses to give up the location of Winstone’s son. Time is of the essence, for in a few hours the boy will surely be killed. Winstone gives her the rundown. Here's how it's gonna go. First I'll break your fingers one by one, knuckle by knuckle. I've always heard that the thumb hurts the worst but I wonder when all ten are busted up how can you tell one from the other? Then I'm going to take out your teeth but not with pliers, with a hammer, and you have thirty-two, so that's gonna take a while. Then I'll shatter your kneecaps, and because I will do anything to see his smile again, if by then you're still not talking we'll move to electricity: your feet in water, using a car battery. The shocks won't kill you, but when your flesh starts to burn you'll get religion. You'll be begging god to let you die, but the only god in here is me. You'll be passing out from the pain, especially when I cut you, and make no mistake about it Violet, this is not your teenage angst Goth girl cutting – I'm going to cut you to the bone. I'll time the shocks to keep you alive. That's really the worst part, wanting to die but being kept alive just enough to suffer. And the sad truth is that in the end you're going to tell me where my son is. What makes this speech particularly nasty is that it really is a scolding. Violet looks about the age of Winstone’s son, and is as bratty and deceitful as he is compliant and caring. Although they don’t know each other, Winstone seems above all disappointed in her. The ‘goth girl’ line reveals this undercurrent: firstly, you don’t know what pain is – no young person can know – and secondly, who raised you to be so bad, so unlike a child of mine? I could have been a good mother to you, if only you had let me. But it’s too late now. It’s like this: if cutting off my hands will make this man go away, and return my son to my bleeding arms, I’d do it. no hesitation. That’s the kind of bargain I’m willing to make. This is the trope that is dutifully deployed in the first nine episodes of Missing, where it is established to everyone’s thorough satisfaction that Rebecca Winstone will walk through a shower of bullets for a chance to see her son again. But then when given the chance she is equally willing to accept the pain of others. She’ll cut off the hands of perfect strangers if that’s what it takes. And these to be sure aren’t innocent strangers, but neither does Winstone’s character simply cross over into the traditional fatherly roles played by Neeson in Taken or by Mel Gibson in Ransom. For these fathers, a rescue mission is always already a quest for revenge: the bad people must be made to suffer, and it’s the father’s job to ensure that they do. The violently bereaved widower turned vigilante played Charles Bronson in the 70s and 80s was the apotheosis of this. He’d shoot you in the face even if you had nothing to do with the death of his family. Not Winstone, who is fundamentally good. She joined the CIA to make the world a better place. She abhors torture at the service of the state, and has the ham-fisted flashbacks to prove it. Her job is to care, and this fierce, elemental caring legitimises all of her choices, be they tactical, strategic or moral. 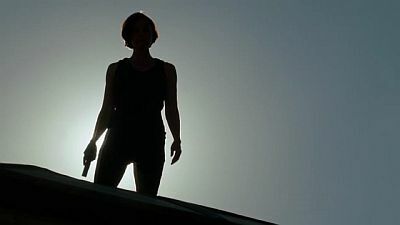 ‘I am a mother!’ repeats Winstone ad nauseam throughout the series, and then again one last time as she stands over the wounded body of the arch-villain before shooting him, execution-style. ‘I am a mother!’ Therefore, even though you are no longer a threat to my son, my family or my country, I am going to kill you now, extra-judicially, as an expression of my love. The torture, too, was part of the caring, and justified itself by existing within the sacred sphere of the family. It was, as Winstone explained to her victim, the price that she had to pay in order to see her son’s smile again and thus hers alone – Winstone’s – was the pain that mattered: the moral pain of having to go to such extraordinary lengths to preserve the integrity of her family unit. 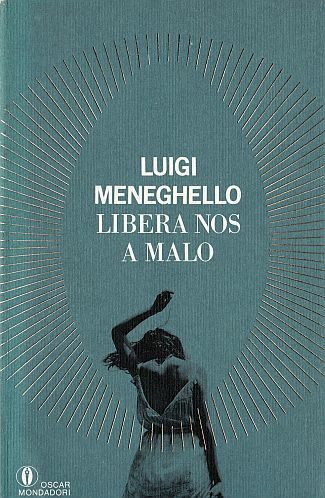 Even before we make the obvious connection between this dynamic and the patriarchal application of state power, whereby illegal interrogations and killings are framed as protective, caring measures, we must observe that in the Missing scenario the kind of violence ordinarily exerted by the state is effectively repackaged and privatised, a move that is best accomplished via the mediation of the figure of the mother: she who, unlike the divorced father played by Neeson, can then go back to nurturing, seamlessly slot back into the role that defines half of society and everyone’s morals. The mother must torture because motherhood itself is an ethical imperative and has to be preserved at all cost. I don’t offer this very forgettable television series as a cultural symptom, or the index of an ideology, except insofar as its screening on a commercial network is a further sign of the utter normalization of torture as spectacle in American popular culture – a spectacle that is by now as trite as it is gratuitous, and that barely needs the dramatic stakes to be raised in order to be performed. This much is unsurprising, uncontroversial. I am more interested in the picture of motherhood that was pieced together in order to construct and market the show: how simple it is, how shallow and at the same time intense, hyper-saturated. The fascist mother of Missing stands as the diametric opposite of the absent mother: in fact her presence – even while she is physically separated from her child – is all that there is. What are we to do with all these books? At some point or other most people end up being faced with this problem. For me it was moving halfway across the planet. Cherished books became a burden. This is not uncommon. Books take up so much space. They lumber across time, quick to become yesterday’s knowledge yet at the same time ageing too slowly to appreciate as objects and acquire antiquarian status within one’s lifetime. This is much of the reason why we have second-hand bookshops: to receive and put back into circulation not what is of value, but what has ceased to be of value. Now it just so happens that when books become a problem for somebody else, they are much more likely to appeal to me. I have discussed my interest in these discarded objects many times before, as well as the fact that it’s the technology that sustains it. You will never hear anyone complain that they have all these e-books they would love to get rid of. I have also made the point that the fact that printed books can become a problem isn’t a bug, it’s a feature; one of the ways in which books mean things. So I’m not going to go into that again either. This long preamble is just to say that this year most of my second-hand book acquisitions have come by way of my being offered to rummage through boxes, or handed things directly. Traditionally I largely devote this anniversary post – this week makes four years since I started – to detailing my loot from the Downtown Community Ministry Bookfair, but the event has been postponed until November, so the dramatically shortened list comprises mainly these other found or gifted books. 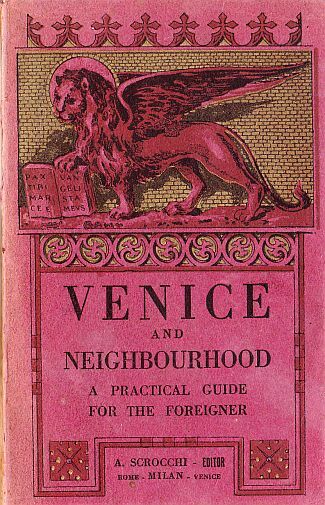 From the old library of the Italian department at my university, this beautiful guidebook to Venice from 1938. 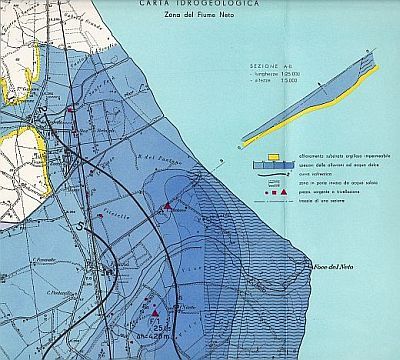 Or the thoroughly formidable collection of technocratic maps of the Atlas of the Fund for the South. 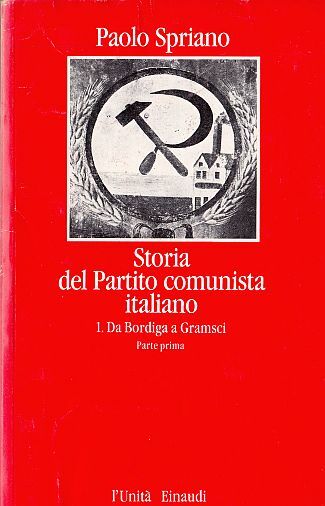 From an old lecturer and friend, a trove of Italian books on literature, film and politics headlined by Paolo Spriano’s eight-volume history of the Communist Party. From a very kind reader, this gem, that had long been on my wishlist. 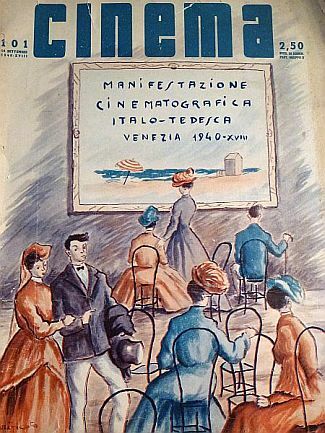 Finally when I was back home in April I made a detour to Bologna to catch up with Evan Calder Williams – the kind of thing that it would be worth giving up a year of blogging for – and picked up a couple of superb old magazines I then got to write about for Overland. 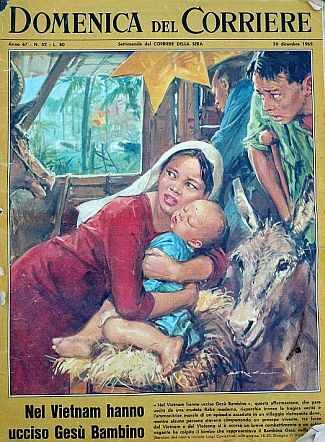 'In Vietnam they killed the child Jesus'. La Domenica del Corriere of 26 December 1965. That’s it for this part of the anniversary proceedings, except to mention that, speaking of Overland, I have found a kindred spirit in Stephen Wright, so read this beautiful post of his on second-hand bookshops. Another anniversary tradition is the changing of the banner, and this year I’m delighted to put up a new one from the wonderful Dylan Horrocks. It was all I could do not to upload it the moment he sent it to me. So to recap we started with this, from the 1945 edition of Bruno Furst's Stop Forgetting. And then there were the three designs from Shirley Carran. Now this latest one, which I’m really excited about – thank you so much Dylan. And finally, a very quick look back at these last twelve months. I got to do a lot more serious writing, which I define as writing outside of this blog. The catalogue of Marian Maguire’s new show came out, and I was really proud to be a part of it. I wrote an essay on the European crisis for Overland, and was given the opportunity to blog for them in a regular slot. (The essay also got me on the telly, which by contrast appears highly unlikely to become a regular occurrence.) I wrote a piece on the internet as a technology of control for The New Inquiry. Three posts got included in as many issues of Brief. We launched Dougal’s book. Megan started contributing again. In short, it was a good year, in which writing made time. But if I had to pick a single highlight it would be the translation over at Buchi nella sabbia of my post on the stopped clock at the Bologna train station. Publishing is about presuming to ask people for their time and attention so it’s always humbling when a reader repays you in kind, and the skill that Francesca applied to the task is something quite special. I was moved by it. I leave you with the last yearful of posts in clickable mosaic form.